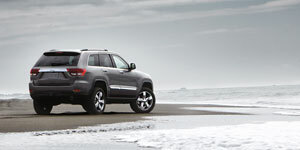 If you are in the market for a full size SUV be sure to check out the 2012 Jeep Grand Cherokee. At the recent Toronto International Auto show it stood out as an amazing piece of North American manufacturing innovation and craftsmanship. From its sleek, rugged lines, award winning transmission and its European style leather and wood interior they sure have come a long way since the original 90s boxy design that won over the Yuppies and Soccer Moms. The 2012 Jeep Grand Cherokee has a whole lot of engine options including the brand new European developed 3.6L Pentastar V6 which delivers 290 horsepower and 260 lb. ft torque and the 5.7L V8 engine with 360 horsepower and 390 lb ft torque. For those who really need crazy amounts of speed and power you can go for the ultimate powertrain option; the new available 6.4-Litre HEMI V8 engine that generates an awe-inspiring 470 horsepower and 465 lb-ft of torque. The best thing about this option is it won’t kill you at the pumps, as it’s built with responsible power thanks to the innovative FuelSaver Multi-Displacement Technology (MDS). This smart technology senses how much power is needed and efficiently and smoothly shifts between 8 and 4 cylinders. 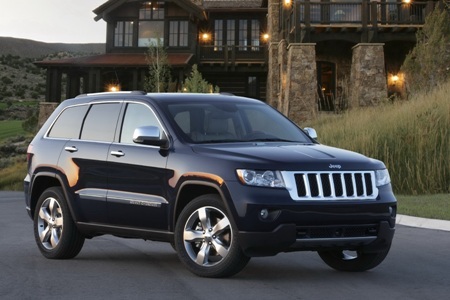 This entry was posted in News and tagged 2012 Grand Cherokee, Jeep by northredline. Bookmark the permalink.